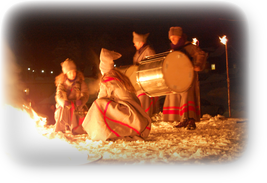 Every year, December 1-13, the small village Korpilombolo, near the Finnish border, arranges what they call The European Festival of the Night. 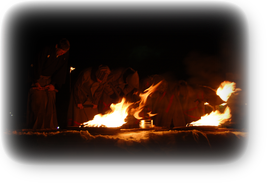 In 2008 I performed at the opening together with the group Teater Sláva, an amazing group of song, dance, and instrument performers, with a mystical, magical sound! There was also a midnight performance indoors. The photos aboveare from mid-day out-door performances! The World Championship in Go, held in Leksand, Sweden, in the summer of 2007. During the championship the organisers had arranged for a variety of "things Japanese". 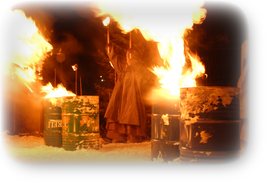 (Below) Performance photo from an inauguration of a bishop in the northern parts of Norway (Bodø). In Norway they still have a state religion, which of course is Christianity. Therefore, the Norwegian king attended and officiated the inauguration. This picture is from the Gala Performance after the inauguration. 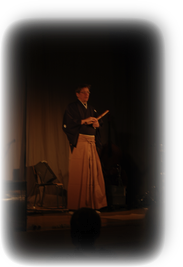 The new bishop had spent some 12 years in Kōbe as a missionary, so he had asked for some connection to Japan. 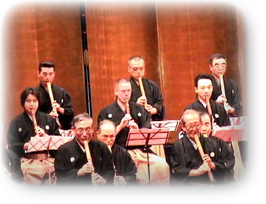 A photo from a major concert at the Tokyo Bunka Kaikan in 2005, together with the other members of Chikumeisha. 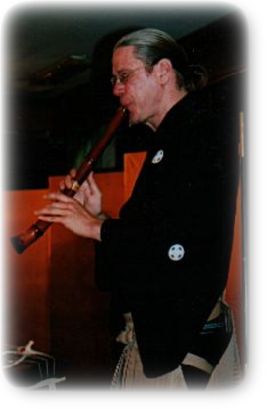 Performance photo from an event in 2004. 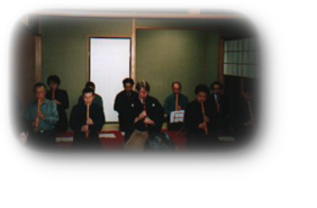 Student concert in Japan in 2003. 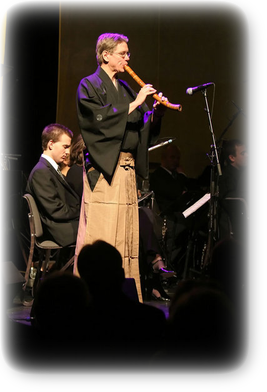 Performing the jiuta piece "Yaegoromo with Yamada Misa, et.al. 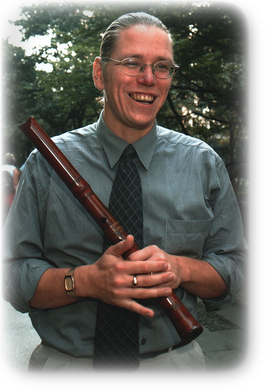 An article photo from the Japanese newspaper Nikkei Shinbun in 2002. 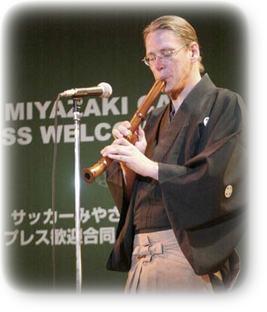 Performing for an international gathering of journalists during the FIFA World Cup 2002 in Korea and Japan. Apart from performing I was working for the Japanese organisation JAWOC and Media Liaison to the Swedish National Team. 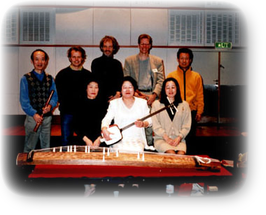 Recordings at the Swedish Radio in 1998, with Tanaka Kōmei, and the string players Ashigaki Miho, Sumiko, and Satō Kikuko. 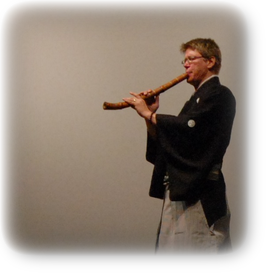 Kinoshita also recorded some tsugaru-jamisen pieces.